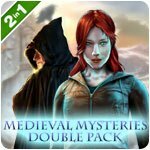 Medieval Mysteries Double Pack Game - Download and Play Free Version! A terrifying truth and dark shadows await you in this exciting double pack! 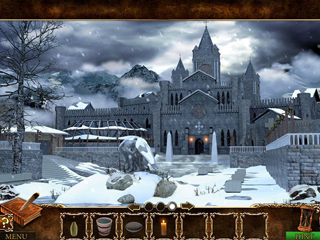 Strange events are taking place in an isolated medieval monastery, set high in the Alps. Monks are vanishing without a trace, mysterious persons are being sighted running through the dark passages of the monastery in the still of the night, Templars have now been assigned to stand watch and there are even reports that a statue in the center of the village is crying the tears of blood!A Vatican Cardinal has chosen you to travel to the monastery, undercover, to investigate these bizarre occurrences. Your duty is to reveal the secrets of the monastery, and monks who inhabit it, freeing this once sacred place from the evil forces currently in power. 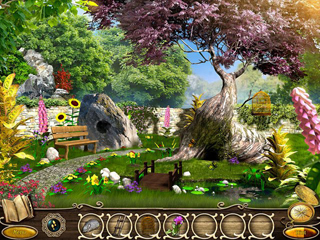 Take this amazing adventure and prove that your keen investigative instincts are up to this formable task in Where Angels Cry - a challenging and exciting mystery, adventure game!